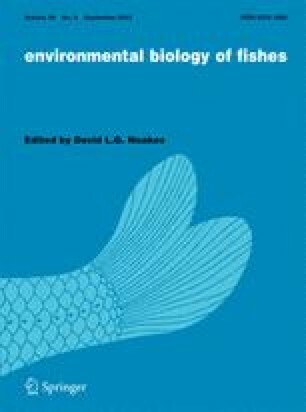 There has been a decline, and in some cases an almost total disappearance, of many of the native fish species of lakes Victoria and Kyoga in East Africa since the development of the fisheries of these lakes was initiated at the beginning of this century. The Nile perch, Lates niloticus, a large, voracious predator which was introduced into these lakes about the middle of the century along with several tilapiine species, is thought to have caused the reduction in the stocks of several species. But overfishing and competition between different species also appear to have contributed to this decline. By the time the Nile perch had become well established, stocks of the native tilapiine species had already been reduced by overfishing. The Labeo victorianus fishery had also deteriorated following intensive gillnetting of gravid individuals on breeding migrations. L. niloticus is, however, capable of preying on the species which haven been overfished and could have prevented their stocks from recovering from overfishing. L. niloticus is also directly responsible for the decline in populations of haplochromine cichlids which were abundant in these lakes before the Nile perch became established. Even without predation by Nile perch, it has been shown that the haplochromine cichlids could not have withstood heavy commercial exploitation if a trawl fishery had been established throughout Lake Victoria. Their utilisation for human food has also posed some problems. The abundance of the native tilapiine species may also have been reduced through competition with introduced species which have similar ecological requirements. At present, the Nile perch and one of the introduced tilapiine species, Oreochromis niloticus, form the basis of the fisheries of lakes Victoria and Kyoga.